I'm excited you've redeemed this Exlusive Bonus! Just one more step! 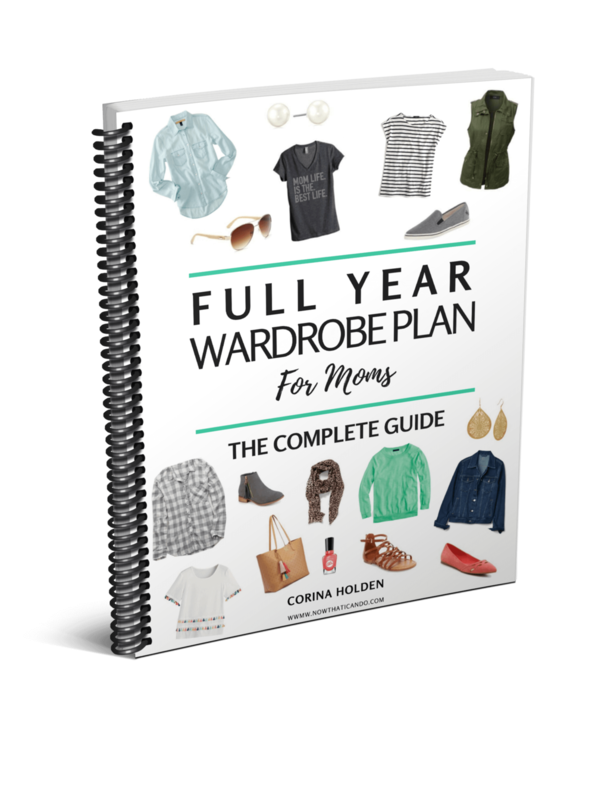 You probably grabbed this Wardrobe Plan + Outfits Checklist because you want help improving your wardrobe. And it's going to help you do JUST THAT! But if you feel especially style challenged, you will love the extension to these products: our Complete Visual Outfit Guide. It's digital too and is ready to download automatically! With the Complete Outfit Guide, you can see fully styled visuals of ALL 239 outfit formulas listed in the checklist you're receiving. It basically allows you to start wearing nicer outfit combinations without the need to have any style experience. What's the difference between the text checklist you're getting and this upgrade to outfit visuals? The checklist will list all the tops that go with each type of pants, skirt or shorts... but what the visual outfit guide provides is a complete visual of each outfit that includes jewelry, shoes, and completer pieces--all items listed in the wardrobe plan but sometimes tricky to actually style well. This visual Outfit Guide sells for the regular price of $29.99 on my website, but for the next 30 minutes I want to make it available for JUST $14.99 in case you want the extra style support now. This price is not available ANYWHERE else, so after the 30 minutes run out the page will redirect to the regular price. I'm making the price so good on this page because I know you'll be blown away by how amazing it is to have 239 carefully designed outfits to choose from each day, and I don't want the fact that we just met to deter you from grabbing it for yourself! 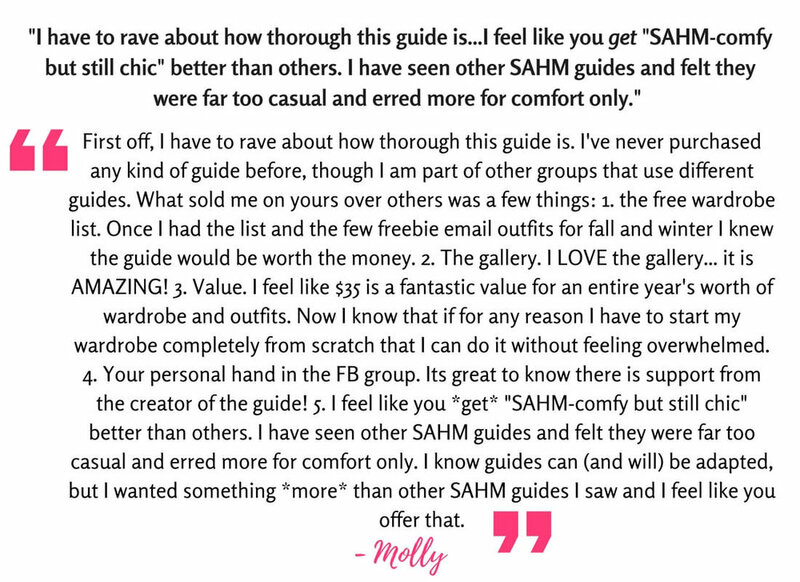 To download the full 152-page Outfit Guide at this amazing one-time price, just click the button below! YES PLEASE! Give me all 239 outfit visuals! But we just met, and if I were you I'd probably be unsure about whether I can trust me! I mean, there's always the chance the full Outfit Guide won't actually knock your socks off with joy. So let me assure you that I do have a 30-day easy refunds policy. If you don't like it you can get your money back and still get to the keep the whole book. Yes Please! I Can Use All 239 Outfit Visuals! No thanks, I'm already pretty creative with my outfits.